Foster, John E.. "Pemmican Proclamation". The Canadian Encyclopedia, 24 July 2015, Historica Canada. https://www.thecanadianencyclopedia.ca/en/article/pemmican-proclamation. Accessed 19 April 2019. ​The Pemmican Proclamation was an 1814 decree that forbade the export of pemmican and other provisions from the Red River Colony in the colonial district of Assiniboia, in present-day Manitoba. The Pemmican Proclamation was an 1814 decree that forbade the export of pemmican and other provisions from the Red River Colony in the colonial district of Assiniboia, in present-day Manitoba. 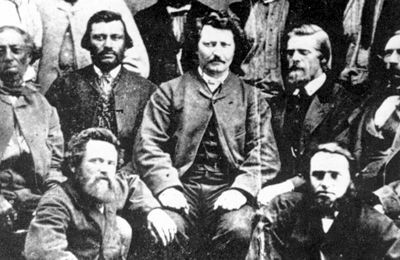 The declaration, made by Governor Miles Macdonell, angered many Métis and North West Company (NWC) traders who saw the move as a direct sanction against them. This and further proclamations reflect the tense rivalries between competing fur trade companies, as well as the attitudes of colonial administrators toward Métis suppliers. The proclamation ultimately led to violence in the Seven Oaks Incident. On 8 January 1814, Miles Macdonell, the governor of Assiniboia, on behalf of Lord Selkirk and the Hudson’s Bay Company (HBC), issued a proclamation establishing the boundaries of the territory of Assiniboia, and forbidding the export of any provisions — which for fur traders consisted chiefly of pemmican — from said territory for a year. Macdonell claimed the proclamation was made to ensure adequate provisions for settlers expected to arrive that summer. While it applied to both the HBC and the NWC, the latter saw the document as an HBC ploy designed to deny necessary provisions to NWC traders, whose yearly canoe trips took them outside the territory. Yet six months later, when Macdonell issued a further proclamation banning the "running" of buffalo with horses, he had the support of the NWC. Now it was the Métis in the region of Red River who found their interests frustrated, as these proclamations directly impacted Métis families who survived by providing supplies to NWC traders. Both proclamations, and the subsequent blockades enacted to enforce them, contributed to rising tensions and resistance. Macdonell surrendered to NWC representatives in June 1815 to be brought to Montréal to stand trial on charges of illegally confiscating pemmican. He never faced the charges in court. A year later, on 19 June 1816, tensions erupted in the Seven Oaks Incident, during which Territorial Governor Robert Semple, having replaced Macdonell, was killed during a confrontation with Métis who were attempting to evict settlers from the colony. 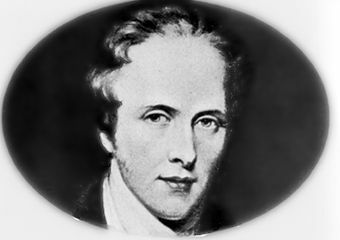 The conflict continued until Lord Selkirk’s death in 1820 opened the way for the merger of the HBC and the NWC in 1821. ProclamationA digitized copy of a proclamation that banned fur traders and others from exporting pemmican from the Assiniboia region beyond that needed for personal sustenance on their journey to their destination. From the University of Alberta website. Conflict at Red River: Collision at Seven OaksA brief history of events that fomented the deadly Seven Oaks incident. From the Manitoba Historical Society. Pemmican Empire: Food, Trade, and the Last Bison Hunts in the North American Plains, 1780–1882See online excerpts from a book on the history of the pemmican trade which led to the near extinction of wild bison on the plains. From Google Books.